Maggie Leman leads a fairytale life in California’s Newport Beach. But when cheating golfer husbands from her Club get knocked off, along with the Travellers muscling into Newport Beach society, Maggie fears she’s bitten into a poison apple, spewing its venom into her life. To stop this deadly flow, Maggie, ex-marketing exec, now Country Club Mom, launches an investigation into these sordid affairs. What she finds is shocking. It appears Newport blue blood is tinged with red. 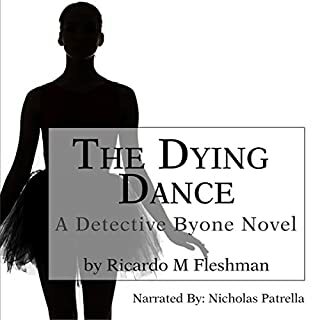 The Dying Dance is the story of retired New Orleans police detective turned private investigator Moses Andre Byone, self-proclaimed skeptic who uncovers an underworld of voodoo, dark magic, and betrayal in the shadows of the human heart as he searches to understand the death of a wealthy white lawyer from Pointe Coupee Parish, Louisiana. On his journey to solve the case, Mose discovers a mysterious silver box that may hold the secrets to the darker human behaviors of greed, lust, and power. Ewan Galbreith is out of prison. Libby Owen is scared. Fifteen years earlier she saw Ewan murder her aunt and uncle with their own shotgun, and now he's coming for her. 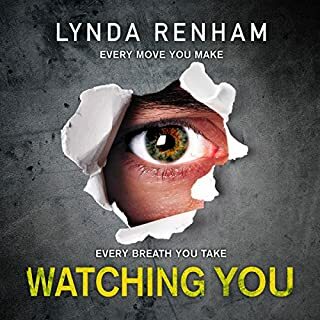 Watching You is an edge-of-the-seat thriller with intriguing characters, an enthralling story line, and a shocking ending. 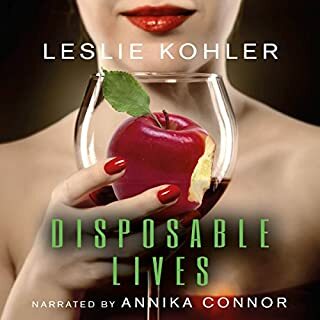 Tate Marsdon, MD, a successful Scottsdale plastic surgeon, shows up for dinner at the home of close friends Henry and Imogen Vine to find his host stabbed to death and his hostess in a state of psychosis. Arrested and jailed, Imogen undergoes treatment for traumatic memory loss, but her attorney, Erin Fitzgerald, Tate’s current romantic interest, starts to question her client’s guilt. Erin and Imogen’s closest friends work to uncover the truth behind the cold-blooded killing. But hiding deep within the shadows is someone determined to stop them—even if it means another death—this one closer to home than anyone imagines. When Tate finds himself targeted as a prime suspect, he, too, is drawn into the investigation. Between his spirited girlfriend, Erin, and his eccentric female patients, he discovers the brutal death of his friend is only one in a series of murders. And the killer is not done yet. A great mystery with a sense of humor. 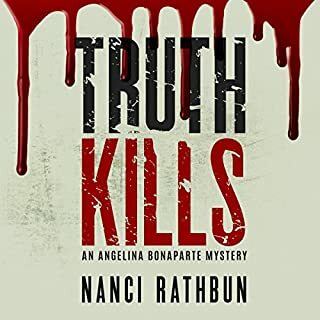 This is a well crafted and interesting Mystery that has a unique group of characters. The Narrator helps to deliver a entertaining package that most listeners of this genre will enjoy. 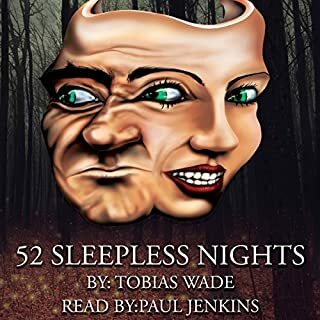 An intriguing listen with a bit of everything - suspense, humour and horror. The characters were a unique bunch and I found myself immersed in the story. The narrator was good, she brought the characters to life and seemed to add to the mysterious tone of the book. I thought this book was so different in the way it was written. I enjoyed trying to figure out the mystery. At first it seemed like there was so many loss ends and you wondered how you were ever going to tie them all together. But the end will be a surprise. 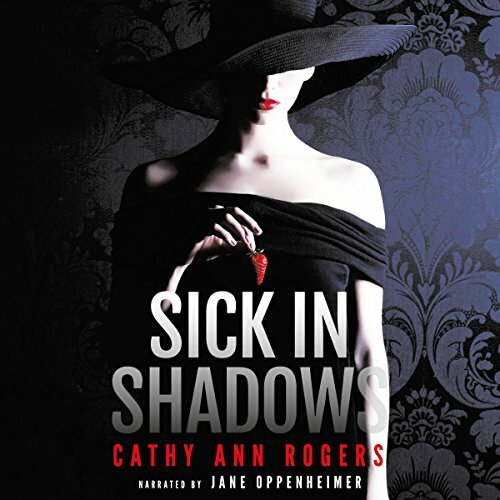 I think Jane Oppenheimer does a wonderful job of narrating this audio book. 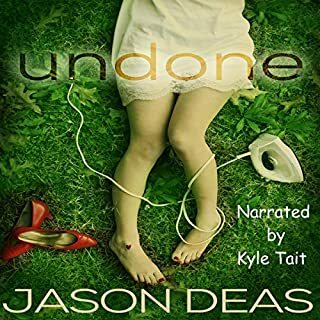 I was gifted this audio book with the understanding that I would leave an honest review. Great story and the narrator did a great job reading it. Strong characters you find yourself rooting for along with just as strong characters you are booing. The story unfolds and keeps your attention. Sometimes I get lost when listening or reading, but this was smooth. This was a well written story. The only complaint was the narrator tried to hard on main character. Sick in Shadows is about a group of successful Scottsdale women friends, all with different personalities, and Tate, a Scottsdale Plastic Surgeon. Tate finds his good friend Henry Vine dead at his home with his wife Imogen in a traumatic state. Imogen confesses to stabbing her husband, but her memory is completely lost. Three other murders may or may not be tied to Henry’s and this group of friends work to unravel the truth. I loved the dynamics between all the characters and the plot had me guessing until the very end. I would definitely recommend and hopefully a sequel is coming. I was given this free review copy audiobook at my request and have voluntarily left this review.